Nemanja Matic feels Manchester United can achieve something special this season following his summer move from Chelsea. Matic helped the Stamford Bridge side land the Premier League title last season but completed a move to United earlier in the transfer window for a reported £40million fee. The Serbian midfielder, who reunites with former Chelsea boss Jose Mourinho at Old Trafford, made his debut for his new side this week against Sampdoria in Dublin. 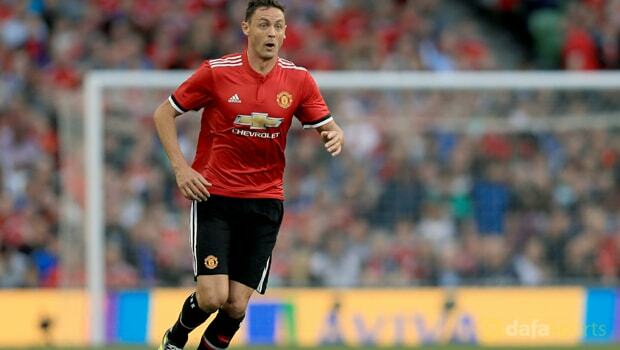 Despite having only just linked up with the United squad, Matic believes his new side can challenge for the Premier League title in the season ahead. “They are amazing. I played in a few clubs in my career, but these guys are amazing,” he said after a 45-minute outing in the win over Samp. “It was strange because the team has played and had a good pre-season. “And as you know I trained alone in London [before his transfer was finalised], and it was strange for me, but I tried to give my best to control the game, give the balance and I think for the first game it was good for me. Manchester United are 4.75 to win the Premier League outright in 2017-18 and Chelsea can be backed at 4.00.